OOOM Magazine, with its focus on visionaries, pioneers, and inspirational leaders, is one of the leading lifestyle magazines of its kind in the German-speaking countries. 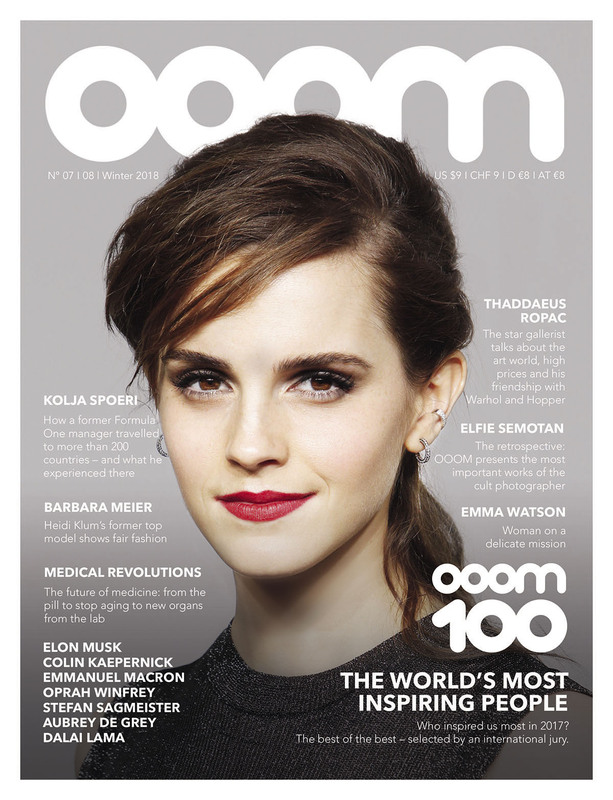 Today, OOOM Magazine presents its OOOM 100 list, ranking the world’s most inspiring people. The OOOM 100 were selected by an international jury consisting of inspirational personalities such as science philosopher and Club of Budapest founder Ervin Laszlo; Global Footprint Network president Mathis Wackernagel (inventor of the ecological footprint); Stefan Sagmeister (Sagmeister & Walsh, NYC), one of the world’s leading graphic designers; Hans Ulrich Obrist, artistic director of the Serpentine Galleries, London, and one of the most influential people in the contemporary art world; Roger Nelson, professor at Princeton and founder of the Global Consciousness Project; Josef Penninger, scientific director at the Institute of Molecular Biotechnology, Vienna, a world-renowned scientist and geneticist; and US bestselling author Dean Radin, among the OOOM editorial staff and others. While the list is ultimately subjective, it illustrates which individuals have impressed us above all others this year. A Man Who Became a Movement – Because He Showed Courage. 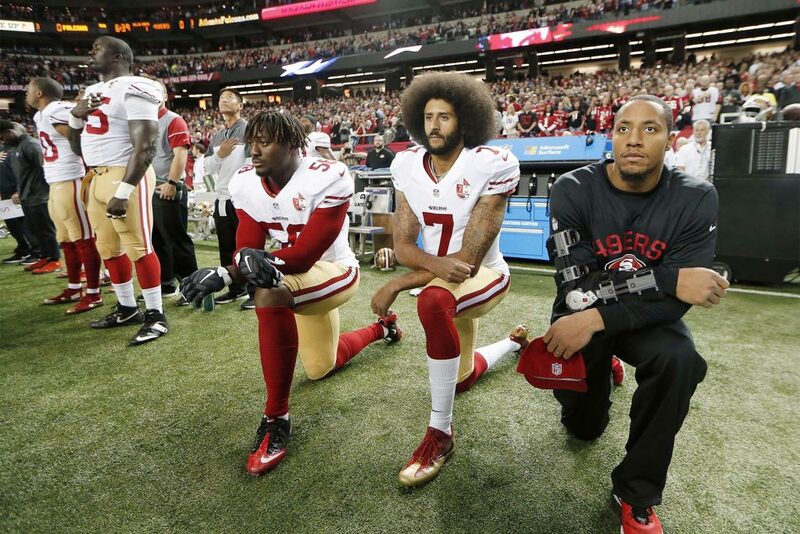 (NEW) He kneeled during the national anthem and changed millions of lives with this simple gesture – including his own. His impressive show of courage cost him his highly paid job but also made him a beacon of hope and transformed him into an icon for an entire movement. Colin Kaepernick’s story is one of courage, fairness, decency and dignity – traits that are no longer taken for granted in Donald Trump’s America. The former quarterback for the San Francisco 49ers became a hero in a country that needs heroes. An American football star, son of an African American father and a Caucasian mother, he was given up for adoption shortly after his birth. 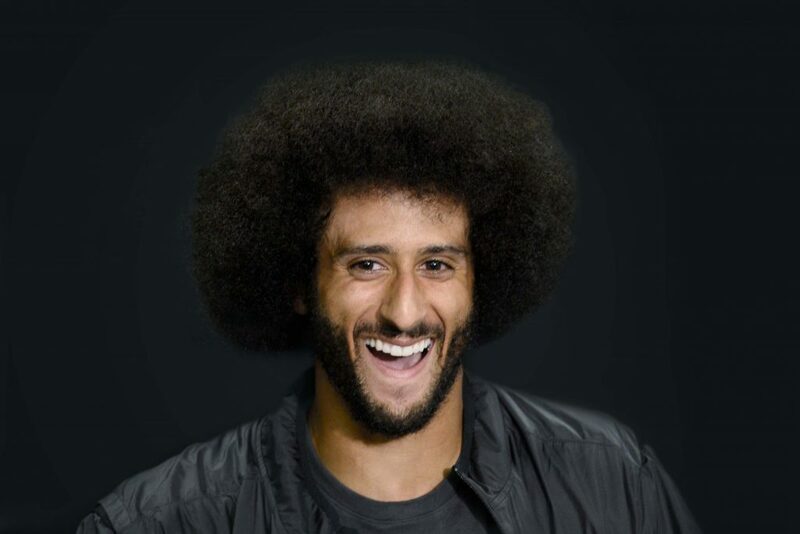 Colin was adopted by the Kaepernick family in the Californian town of Turlock, soon displayed exceptional athletic talent and was discovered by an American football scout when he was only eight years old. During his time at the University of Nevada, Reno, the full force of his ability as a player in the quarterback position became apparent. Later, playing in the National Football League, he became a superstar, broke NFL records and is celebrated by fans to this day. He would still be playing had he not heeded the voice of his conscience. Kaepernick now devotes his time and energy to motivating America’s youth to stand up for equality and justice. He visits schools, gives talks and inspires young people all across his country. 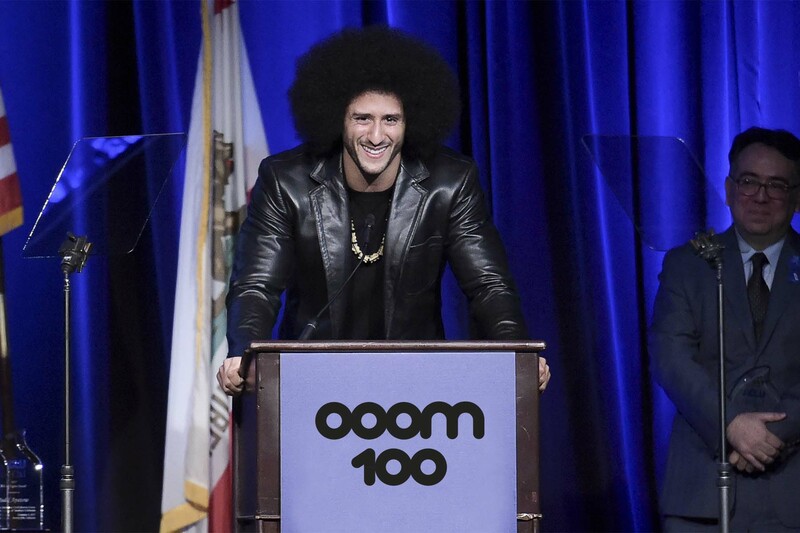 The OOOM 100 jury ranked Colin Kaepernick as the most inspiring person of the year, acknowledging the fact that his courage became a symbol of decency and justice leading millions of people to follow suit. If courage has a name, it is Colin Kaepernick. (NEW) She is a megaphone for social issues in this world. As UN Women Goodwill Ambassador she has dedicated her efforts towards the empowerment of women, supported Camfed International—a movement that provides opportunities to young girls in Africa—advocated Fair Trade fashion and co-developed the UN campaign HeForShe. The Beauty and the Beast star traveled to Bangladesh, Zambia and Uruguay and added a mission to her highly successful acting career: to improve the world. A woman who inspires millions around the world. (NEW) He is hailed as a new hope for Europe and is a source of political and cultural courage in his own country. 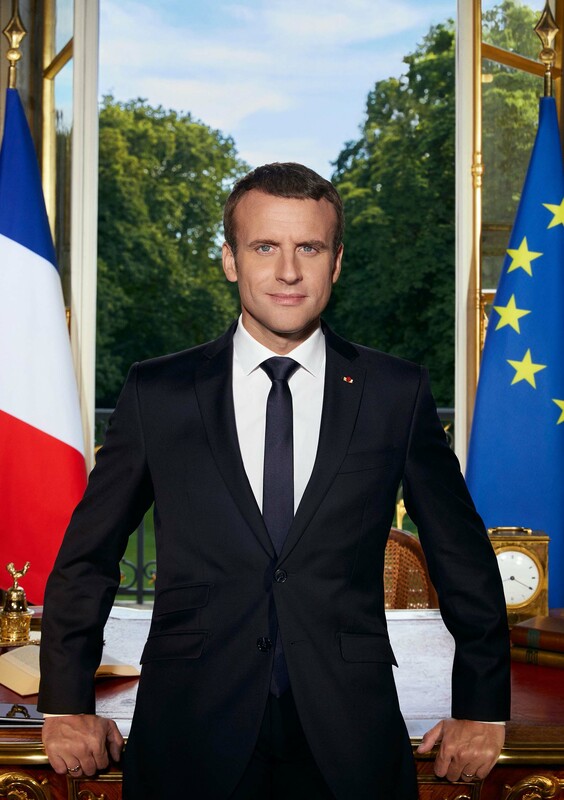 What Obama once was for the USA, Emmanuel Macron is for France: a president committed to progress and modernity, characterized by faith in his own ability. Many hopes are pinned on him and his mission to create positive change in Europe. Macron made equal opportunities for women a central project of his tenure. “A strong, inspiring president, who changes politics from the ground up” (OOOM 100 jury member Mathis Wackernagel). (10) He revolutionized mobility in the twenty-first century by developing and producing the best electric cars in the world with his company Tesla. With Space X, he achieved what NASA did not despite decades of research and multibillion-dollar budgets: Space X built a rocket that is able to land again upon return to earth after a mission. Now Musk aims for Mars. He is also working with his start-up Neuralink on an interface between the human brain and computers, designed to maximize our intellectual capacities. Elon Musk is the most important game changer of our time, a pioneer and visionary. An individual who inspires us over and over again. 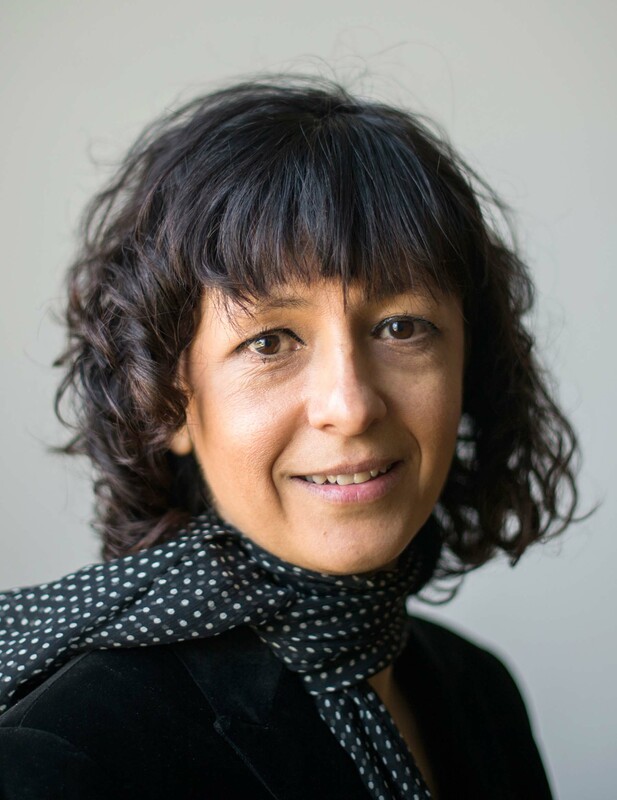 (NEW) She invented CRISPR/Cas9, the tool for genome editing that allows us to switch genes on and off, a revolutionary instrument that is changing the field of medicine. A candidate for the Nobel Prize. 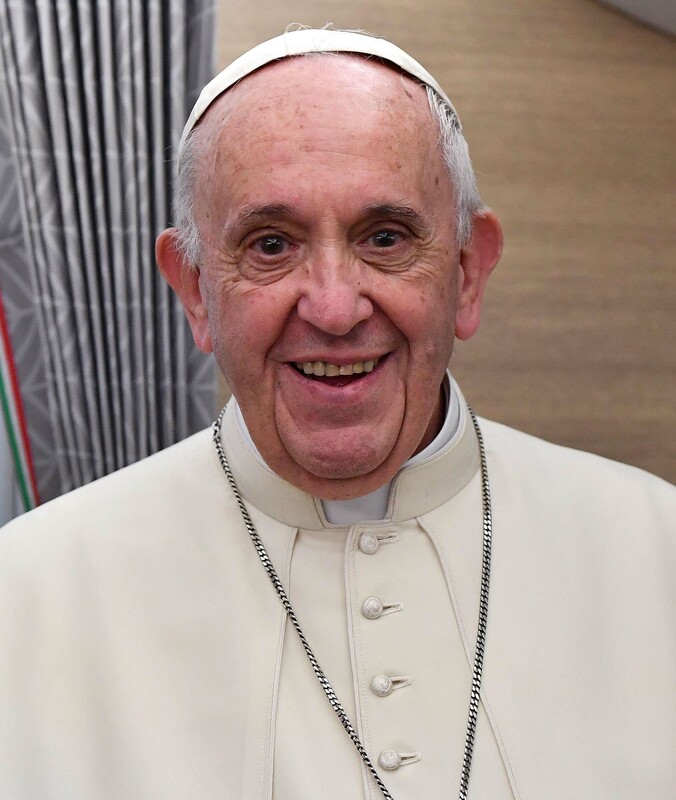 (4) The humble pope who embodies the true values of belief. His understanding of the Church gave hope to millions, and in the process, Francis won hearts across the globe. He has given us all a new sense of religion and hope. (6) He is inspiration incarnated in our world. 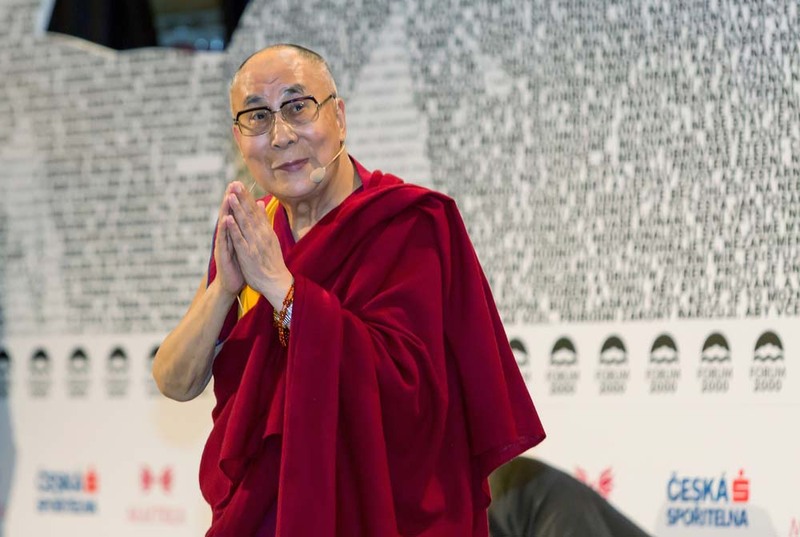 When the spiritual leader of the Tibetan people talks to us, millions follow his wisdom. His message: love and empathy. Yes. 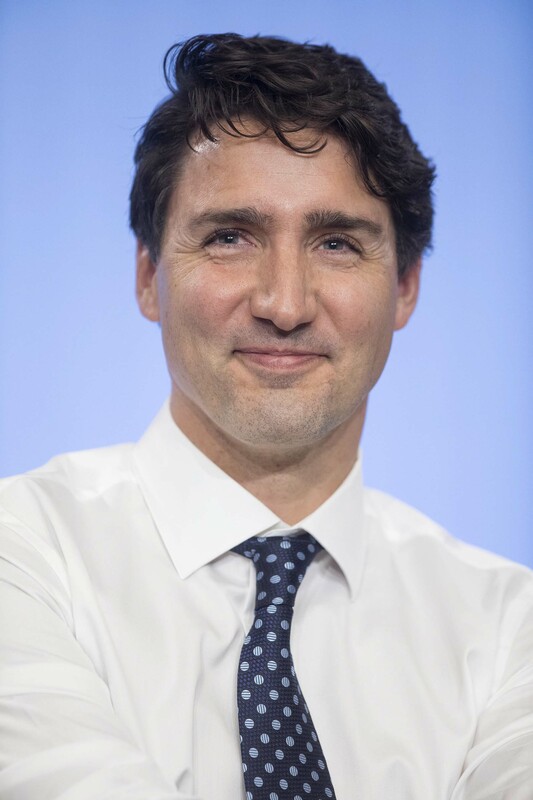 (32) A new kind of politician, he embodies hope not only for Canada. Justin Trudeau leads his country wisely and judiciously. He appointed an equal number of female and male ministers in his cabinet, is a star on social media and apologized to the LGBT community for past discrimination. A man with a spine. (NEW) This man aims to change the world for the better. 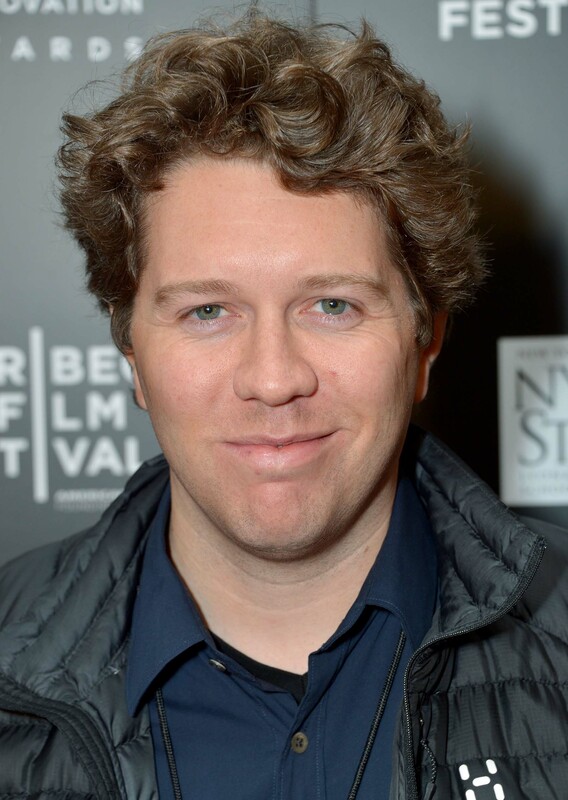 Camp, who cofounded Uber, joined The Living Pledge established by Warren Buffet and Bill Gates. In doing so, Camp committed to donate half of his private assets to charity: a sum of 2.5 billion US dollars. A shining example. (14) He is probably the most innovative entrepreneur of our time. With more than 60 enterprises subsumed under his umbrella brand Virgin, Branson has changed how we see the world. What started in 1970 with a record store in London grew into a business empire with a turnover of 21 billion USD per year and 69,000 employees in 35 countries. 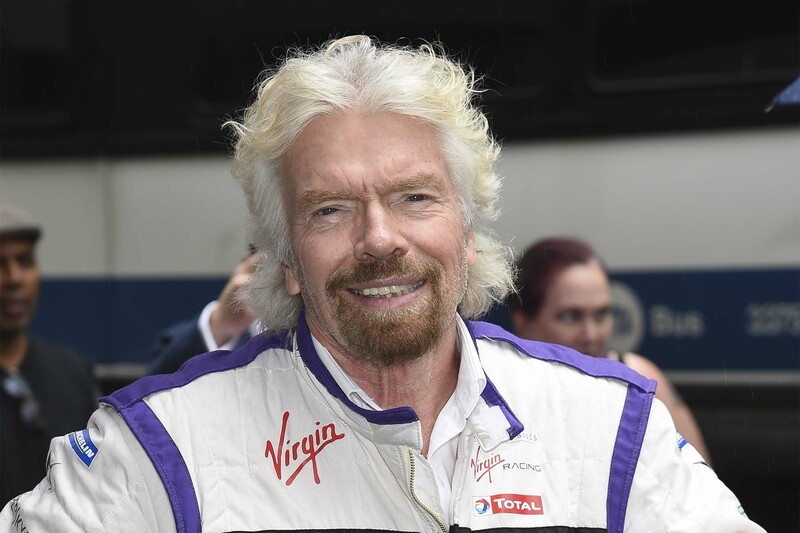 Branson founded the B Team, a movement advocating more responsibility among entrepreneurs for this planet. With his initiative The Elders, he makes the experiences of the likes of Kofi Annan and Jimmy Carter accessible on the stages of the world again. His most recent coup: Elon Musk’s Hyperloop is now a Virgin project. RTL-Gründer Helmut Thoma erfand das deutsche Privatfernsehen und machte die RTL Group als langjähriger Vorstandsvorsitzender zu Europas größtem und profitabelstem TV-Konzern. Der legendäre Fernsehmacher und seine Frau Danièle sprechen im OOOM-Interview über die Liebe, ihre Ehe, Affären, die Unfähigkeit seiner RTL-Nachfolger, das Ausnahmetalent Sebastian Kurz, warum es für Wiens Bürgermeister Häupl Zeit ist, zu gehen – und warum auch Angela Merkel endlich abtreten sollte.